The NYPOST reports that Madonna is still working out despite the bruised bone in her foot. She’s been to SoulCycle in the city and the Hamptons. It is one of the few workouts she can do while her foot does still hurt. Artist Steve Nunez paints Pop Star Madonna on Canvas! 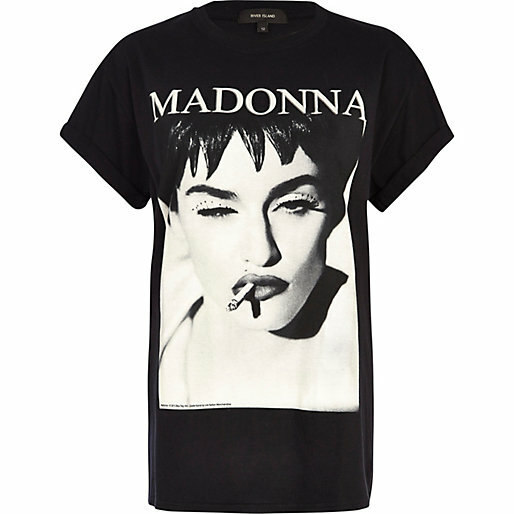 €25.00 Show some love for the Queen of Pop in this vintage-inspired monochrome Madonna print boyfriend tee. Featuring an oversized fit, crew neck and short rolled sleeves.